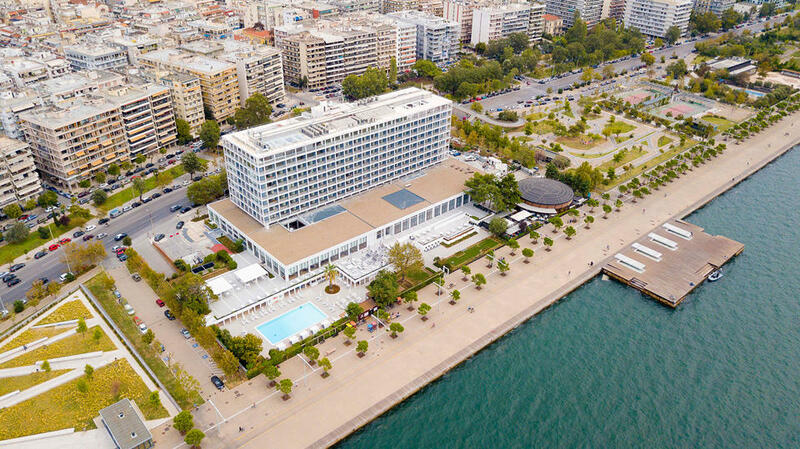 One of the most genuine parts of Thessaloniki, and a city landmark. Fresh and warm in its welcoming, it offers a complete series of 5-star accommodation services at its 283 rooms and suites. 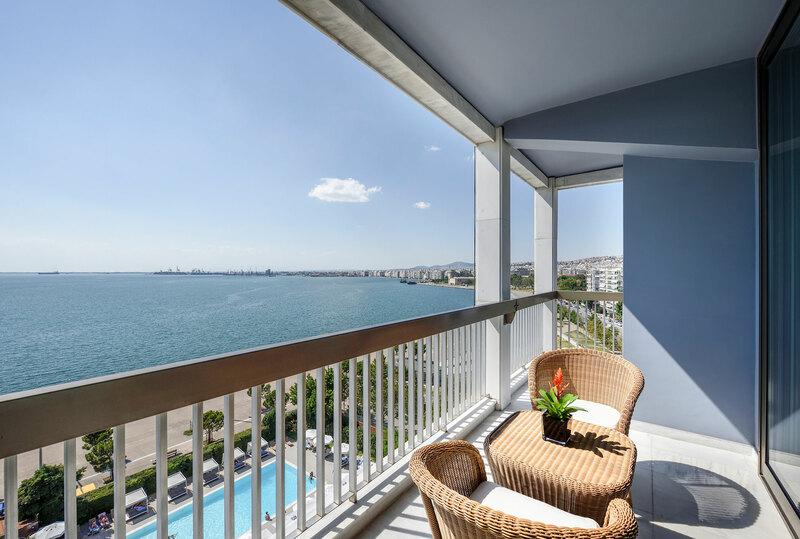 In a unique location, which gives its visitor the chance to stay right next to the city's center while he can enjoy the unique view of Thermaikos' gulf blue, the renewed Makedonia Palace greets you with its most heartfelt “Welcome!”. 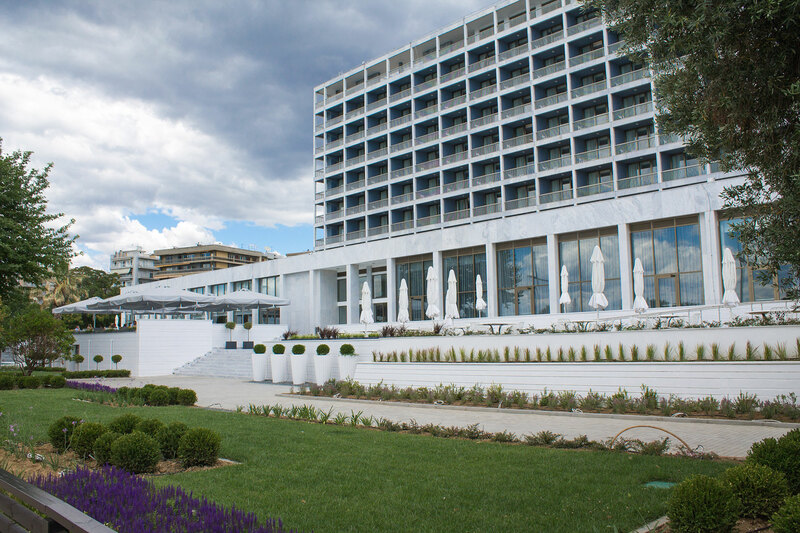 The accommodation experience at Makedonia Palace is completed by a series of unique services. The renovated Symposium restaurant, right next to the sea with a spectacular view of Thermaikos' sunset. Thymare, with a series of selected fish and seafood tastes that visitor can enjoy in its lounge or terrace, and also the new all-day Navona for coffee, snacks, signature cocktails and Italian flavors right next to the sea. Plus, a number of facilities such as gift and jewelry shops, a guarded parking, fitness facilities, and a series of fully equipped business meetings and social events halls. 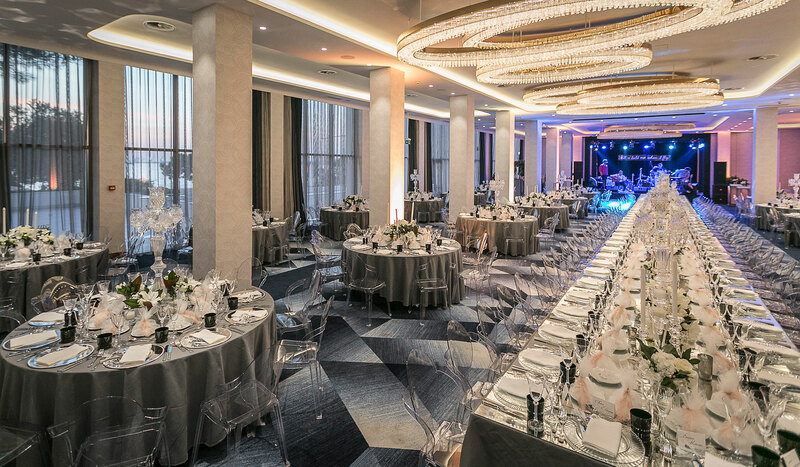 Makedonia Palace is also the ideal host for every type of professional gathering, offering a wide range of alternatives in terms of halls and services. From the 20-person meeting rooms to the 600 sq.m. of the spacious Aristotelis Hall, every single space has an arrangement flexibility that makes it ideal for every kind of meeting. 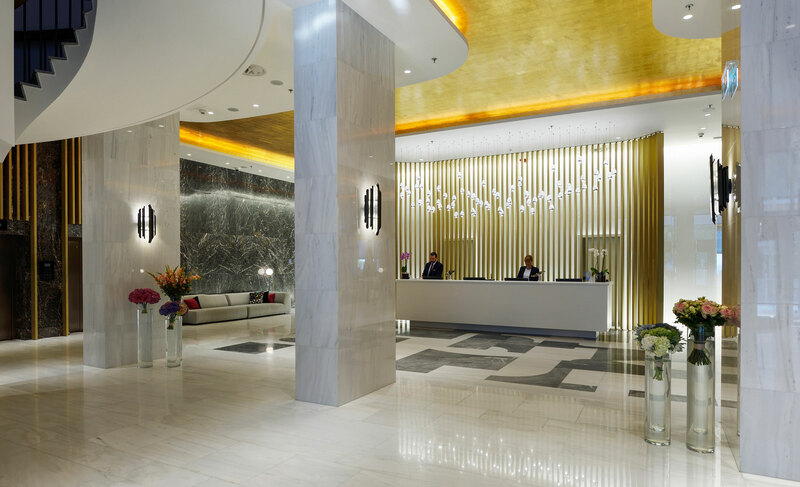 In addition, their position at the hotel's ground floor and their large glass panels offer them an advantage in terms of natural lighting, with a dim-out option if needed.